Listen online to Bridge FM 106.3, Bridgend, United Kingdom. 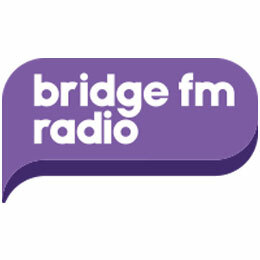 Bridge FM is the local commercial radio station broadcasting in south Wales' Bridgend County Borough and the surrounding areas on a frequency of 106.3 MHz. Playing the Most Hit Music across Bridgend County. Listen online at www.bridge.fm. Text the studio:- text BRIDGE followed by your message to 07740 938 500. Phone the studio:- 01656 838620.